As an automotive journalist it’s comforting to know that Subaru listens to us and they have finally bowed to the media and internet speculation. The power of the pen is mighty indeed. Subaru has just officially confirmed they will launch a new Twin-Turbo Diesel Hybrid BRZ AWD Convertible sometime in 2015. The announcement is supposed to come tomorrow on April 1st, but has leaked out early and our readers can read about it here first. 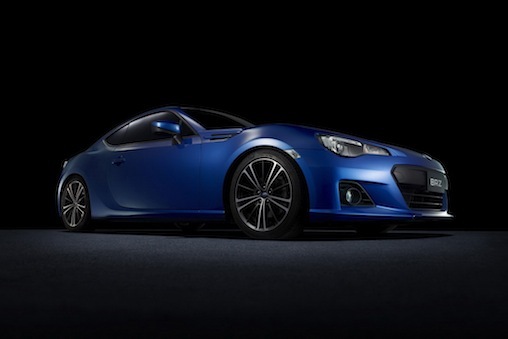 Why is Subaru finally giving in, admitting defeat, and launching this new BRZ? Subaru has finally succumbed to the media pressure and will put to rest all the rumors and speculation surrounding the new BRZ two-door sports coupe. As the media has written much and speculated on the future powertrain of the BRZ, this new Turbo Diesel Convertible Hybrid AWD BRZ takes the rear-drive coupe to another level of performance. Now all the rumors and speculation will finally stop with this new announcement from Subaru. In a quote from Subaru of America, an unnamed spokesman for the Japanese automaker said: “Having just launched the current model to widespread critical acclaim, we are tired of fighting off the constant speculation about what’s “next” and so we are just giving in and delivering all the speculation in one vehicle.” This announcement shows just how much Subaru actually listens to the media and it’s customers. Subaru did not give many details on the new Twin-Turbo Diesel Convertible Hybrid AWD BRZ, but they did tell us here in the highly-speculative media that it will have a starting price, but the announcement made it very clear the new BRZ would not feature a much anticipated rear back-up camera. While this is very disappointing to us in the media, the unnamed Subaru spokesman indicated that “after shoehorning two convertible switches (up and down) onto the fascia there just wasn’t room for any more instruments.” Why couldn’t Subaru figure something out that is seemingly so simple? We don’t have an answer for that one. What we do know for sure is that this new AWD Turbo Convertible two-seater Diesel Hybrid BRZ will come in a single color, that Subaru is calling “noseeum black” and will be hand produced at Subaru’s Brigadoon facility. While we don’t know where this new facility actually is, we are speculating that it’s very likely a new plant that Subaru is building in Europe. The facility will most likely be located near the quaint and beautiful village Brigadoon that is located in Scotland. This writer has written much and speculated on what the future BRZ powertrtain will likely be. And we will speculate that the all-new AWD Turbo Convertible two-seater Diesel Hybrid BRZ will likely be a 2016 model when it finally arrives. What we do know is that Subaru has confirmed it will make its global launch in 2015. We can further speculate that it will likely make its world premiere at the 2015 Tokyo Motor Show. Stay tuned as we will likely be spreading more rumors about the all-new 2016 Subaru BRZ. Happy April 1 from Subaru.